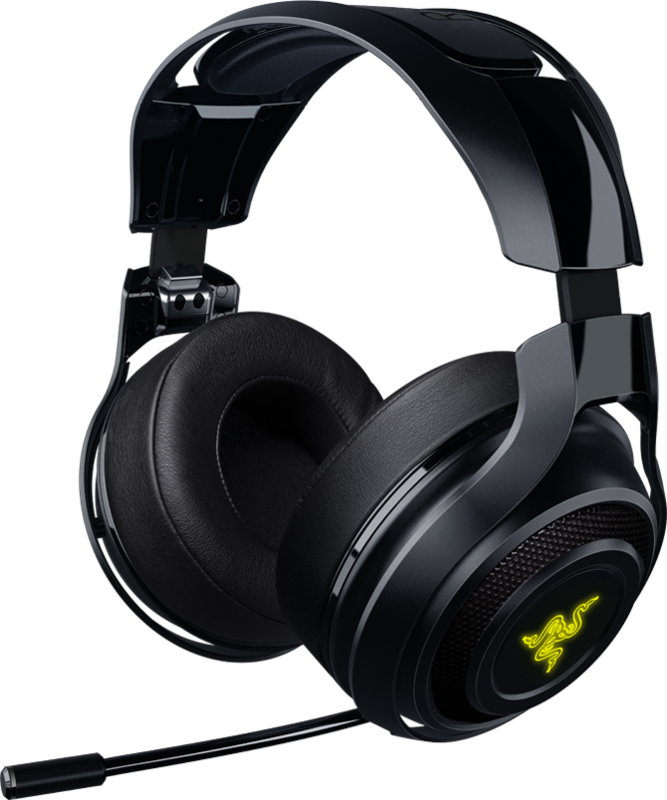 The Razer ManO’War offers high fidelity gaming grade audio through lag-free 2.4 GHz wireless technology with a 12+2 meter range capability. Simply plug-and-play with the ultra-compact wireless USB adapter or use the included extension dock for the extended range of 14 meters. Whether you’re streaming, watching a movie or on a gaming marathon, the Razer ManO’War is able to give you an impressive 7 days of wireless gameplay or 14 hours uninterrupted play on a single charge. Never worry about having mediocre battery life ever again so you can focus fully on your missions. Concealed in the left ear cup is a versatile unidirectional digital microphone boom which easily pulls out as needed, and adjusts to the exact position you want. Equipped with an optimized algorithm for more natural sounding and crystal clear voice reproduction, the Razer ManO’War’s digital microphone surpasses the capabilities of traditional analog microphones. The headset also comes with a mute LED indicator on the microphone boom so you always know when you’re broadcasting.